After successfully sending 5 players to the APT Championship Event in Ho Chi Minh City, we’re excited to send 3 more to APT Korea next month. But before that happens, we want to share just how big of a value players have when playing for APT seats and packages on CoinPoker. You’re probably wondering: what exactly do you mean by player value? In terms of overlay, our APT satellites scored highest out of all CoinPoker tourneys. When comparing the collected buy-ins with the value of the prizes in our previous Asian Poker Tour promos, the overlay is incredibly steep in favour of the player. To give you a better understanding of just how big the player advantage was, we put together a few stats on the previous Voyage to Vietnam satellites. Our recent Voyage to Vietnam promotion consisted of 12 satellites in total. Each satellite awarded the winners with GTD seats at the main qualifier, where 5 winners each received an expense-paid package to the APT Championship Event in Vietnam. In total, 26 players entered the main qualifier. Five of these players won a seat in the freebuy satellites, while the others paved their way to the end through paid satellites. Only nine players paid the full buy-in of 5,000 CHP to directly enter the final qualifier. If you look at the numbers, the majority of players made it to the final round at just a fraction of the set buy-in. In fact, a total of 12 players found themselves competing for the grand prize pool, worth over 320,000CHP in total, for as little as 100 CHP each! As fun as it is to play freebuys, the APT satellites give players a chance to cash in big for a negligible cost. 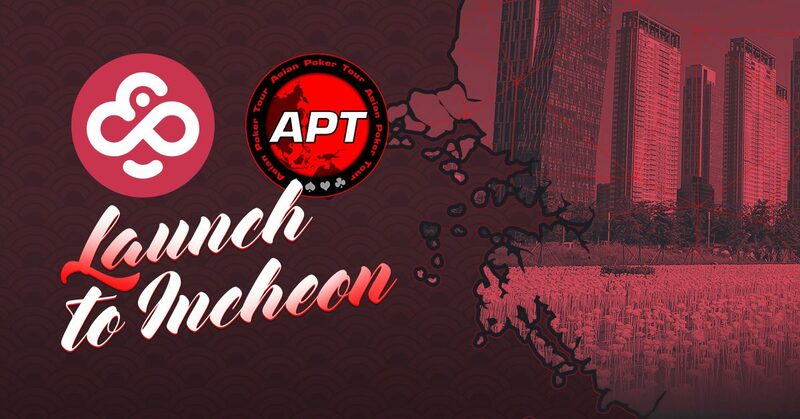 If you’re motivated by bigger prizes and feel like you have what it takes to win, then the APT satellites are great opportunity to put your skills to the test with minimal risk. While you may have not succeeded in grabbing a package to Vietnam, you can continue your grind not to only become a crypto millionaire but visit yet another exotic location for a fraction of the cost. The next opportunity is APT Korea’s Main Event 1B in Incheon. Players can enter the first round for as little as 50CHP, and each R1 satellite gives 3 GTD seats to the second round. Keep in mind that each of the 3 packages to be won in the final qualifier is worth over €1,500, including travel expenses and a buy-in to the next APT main event. That’s a huge value for only 50CHP! Need more reasons to play? Check out these interesting sights to see near Incheon, or dive into the satellites now to compete for 1 of 3 expense paid trips to South Korea.